Christmas 365 days a year for me *I wish* and for my gal Amanda a.k.a. my exploded disco ball. 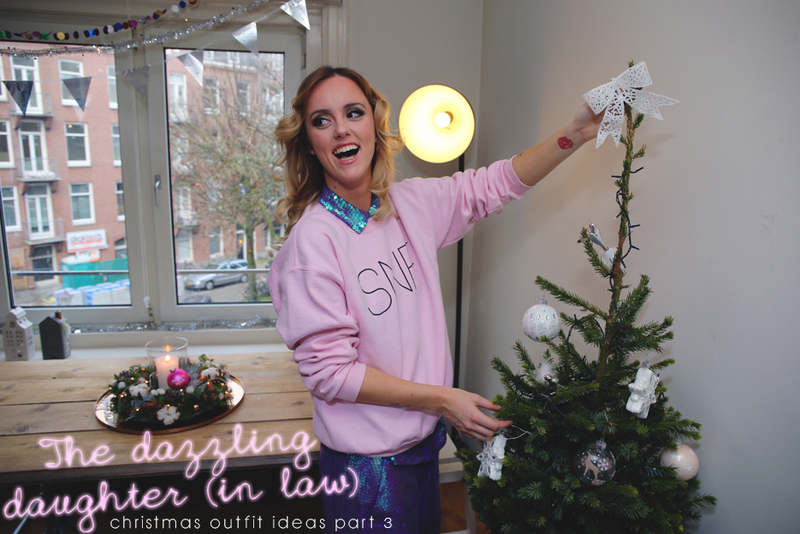 dress up that even your own Christmas tree gets jealous! right? ;) But, a suit is a suit, period. chunky SNF sweater over it. "But what about the shoes?" Three guesses... Sparkle shoes of course! Hello, it's Christmas, be dazzling darling! You are too adorable!!! love the photos!!!! Love that pink sweater! Thank you so much Stephanie, you're such a sweetheart! I think you look really cool in that outfit! Like it a lot! Lovely photos! I love the sweater! how cool are those shots!!!! love them! You look so pretty and all the pictures are awesome!